As part of my paid partnership with QVC, I get to go along to the headquarters and select my favourite pieces to share with you. 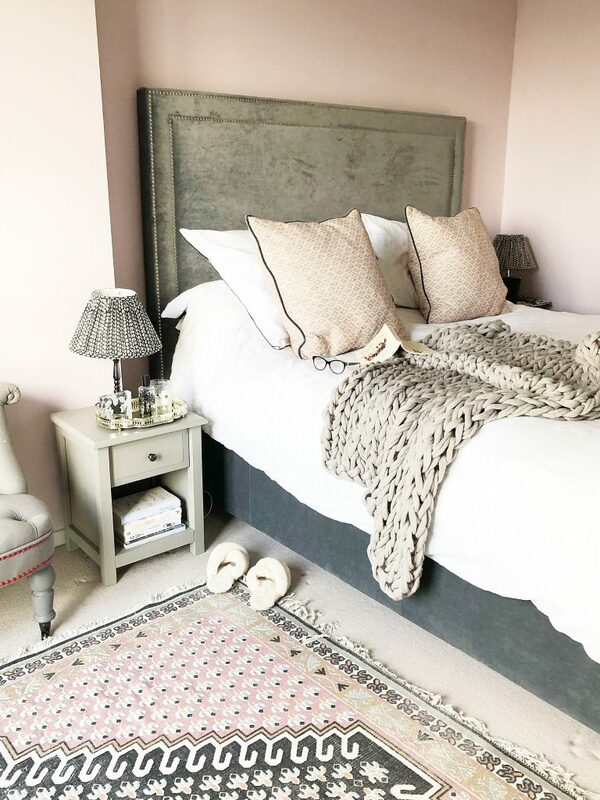 Many of these items would make lovely Xmas presents, so I thought I would put together a blog with my most useful selections this month. These trunks have been a godsend. I have used them in my dressing room to store my make-up and spare beauty products. They look great and are really sturdy and well made. They have been extremely popular and most colours have sold out, but they do still have the grey and black. 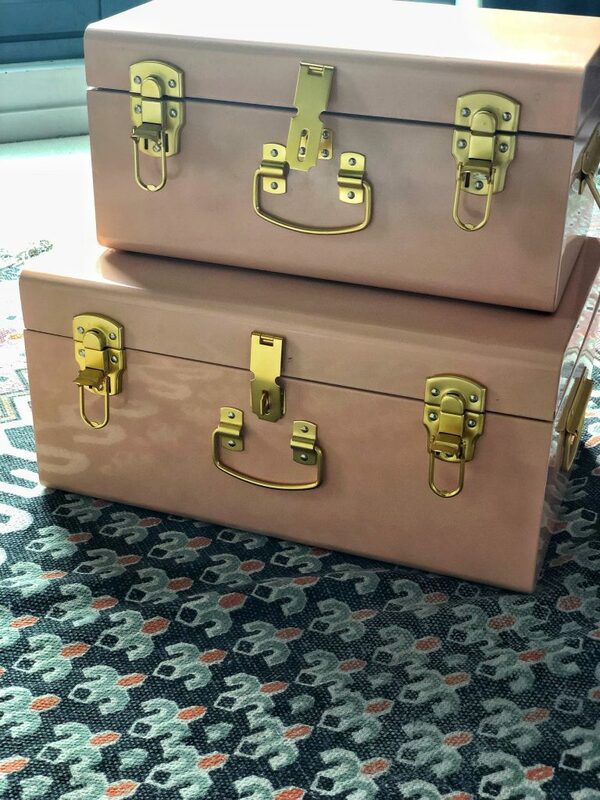 Both would make really chic storage solutions for a child’s bedroom. 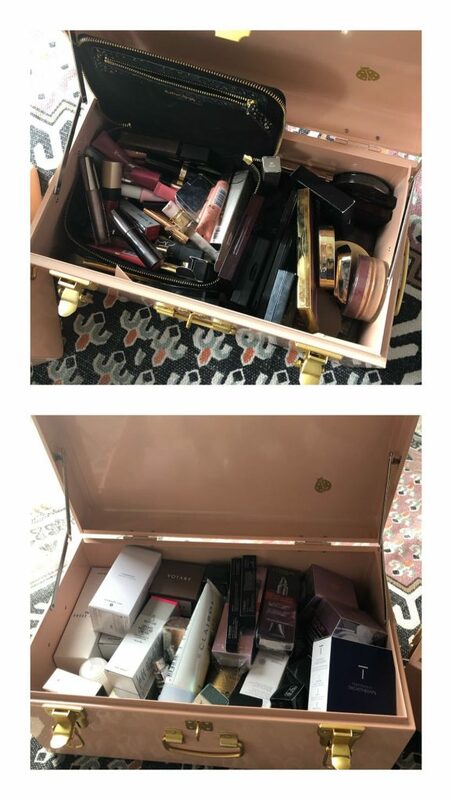 My trunks holding my beauty products. These slippers have been heaven to wear. 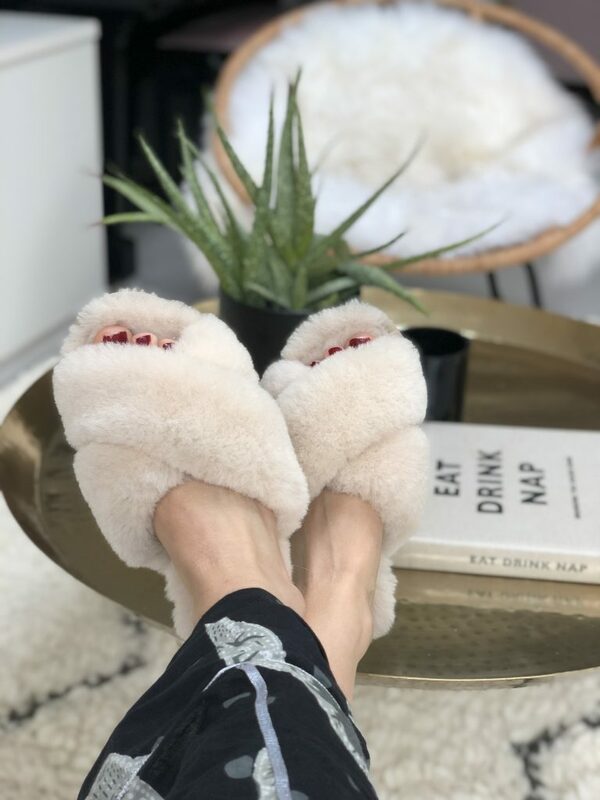 I think it’s something to do with being able to slip them on so easily and having my toes free which has made them different to my other enclosed sheepskin slippers. 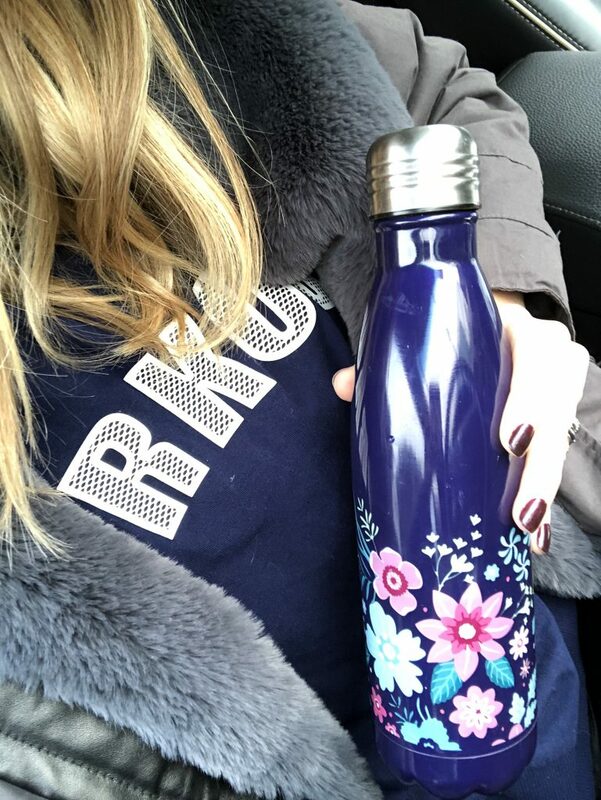 If you have gone to buy a stainless steel water bottle recently you will know that they retail for around £25, so two water bottles for £18 is really good value. They are easy to clean, keep hot drinks hot and cold drinks cold and unlike other plastic water bottles that the children have used for school in the past, these don’t leak. (or get smelly!) We are really trying to remember take them out with us on the weekend so that we avoid the emergency dash into a shop to buy (single- use, plastic, bottled) water when one of them says, “I’m thirsty” So far, we are doing really well and I think it’s because these bottles don’t seem to change the taste of the water and keep it cold. I don’t think you can go wrong with polka dots. They never go out of fashion and this blouse has a really beautiful shape to it, making it very easy to wear. I fell for the flare sleeves and tie detail on the v-neck. I can imagine this being one of those classic pieces that will come out year after year. I’m not sure if it’s something to do with playful kitties, but I have really noticed recently that my plants are happier when they are raised off the ground. 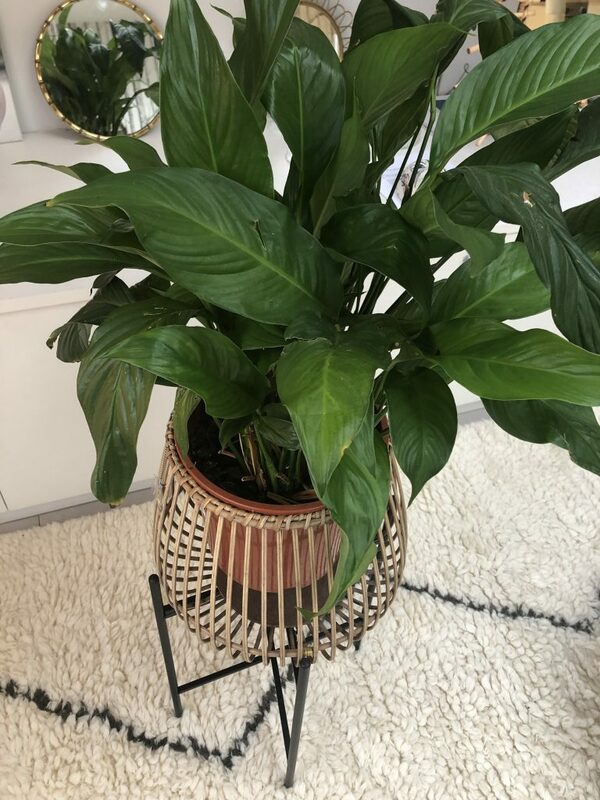 This peace lily in particular has flourished since this bamboo planter arrived. Having looked around for similar options I think it’s excellent value. This large throw seems to follow me around the house. Perfectly for snuggling under in this weather. 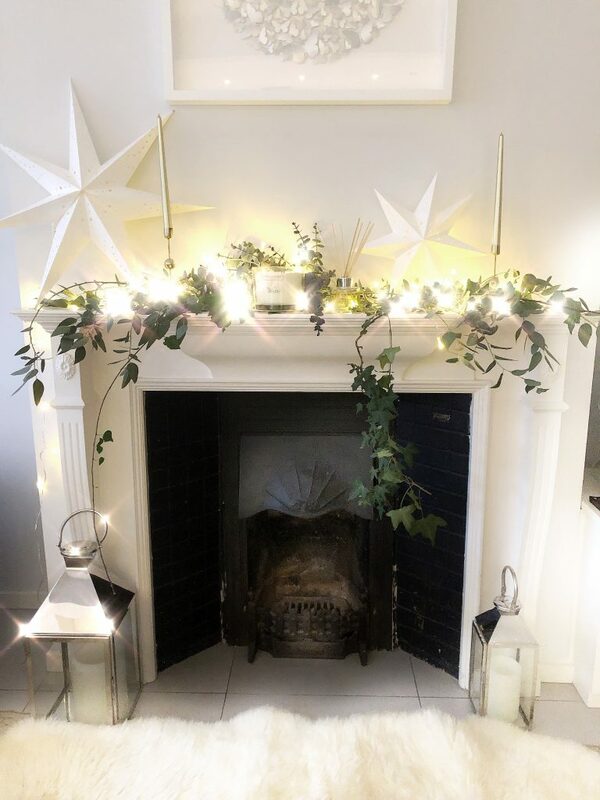 These Alison Cork lanterns have been a lovely addition to our house. We use them to light up the garden at night if we are entertaining and around the fireplace for an indoor option. The best thing about them is that the candles are LED, so you can leave them ‘burning’ all night without risk of the candle melting down or fire. It’s worth mentioning that they arrive in packaged in parts, but they were very easy to put together.